Oh, how I love a rocking chair on a porch. So there’s this rocking chair I have held onto for a while. By a while, I mean 15 or more years. When my oldest girl was a baby, I went to one of those unfinished furniture places on a whim and bought this sweet little rocking chair with high hopes of creating an heirloom piece that she would treasure forever. 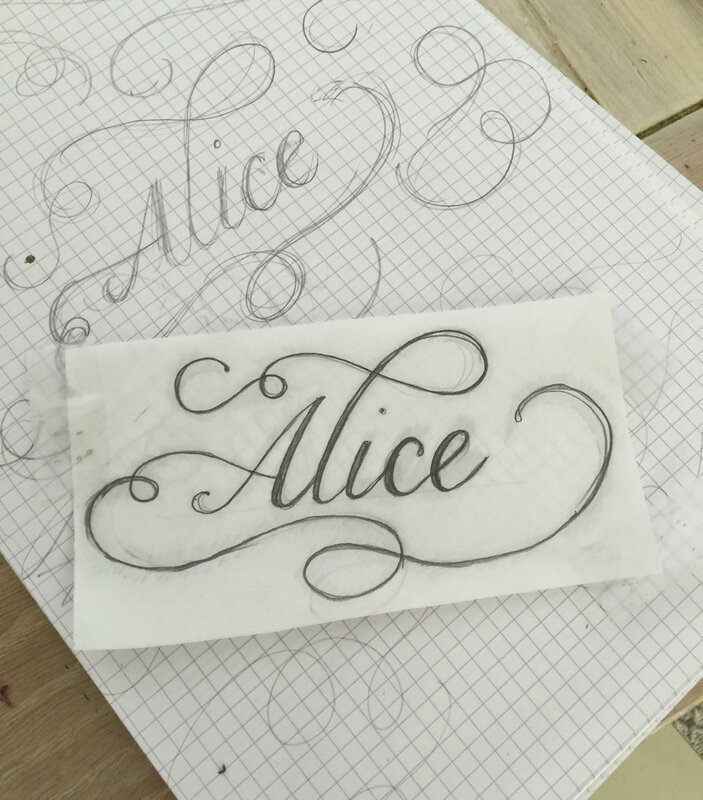 Little did I know as a first time mother creating the perfect heirloom piece takes time... time that I did not have. Not to mention I have a bit of a problem with perfectionism. Which is to say that unless I have a VERY CLEAR VISION of what I want to create, my perfectionism kicks in and I am stunted and do nothing. Which is what happened all those years ago. Fast forward through 15 years and two more babies and I’ve relaxed a bit in my thinking. I don’t need to have a clear vision or a perfect heirloom piece. I just want a rocking chair that my littlest can use and that's not taking up space and collecting dust in the garage. 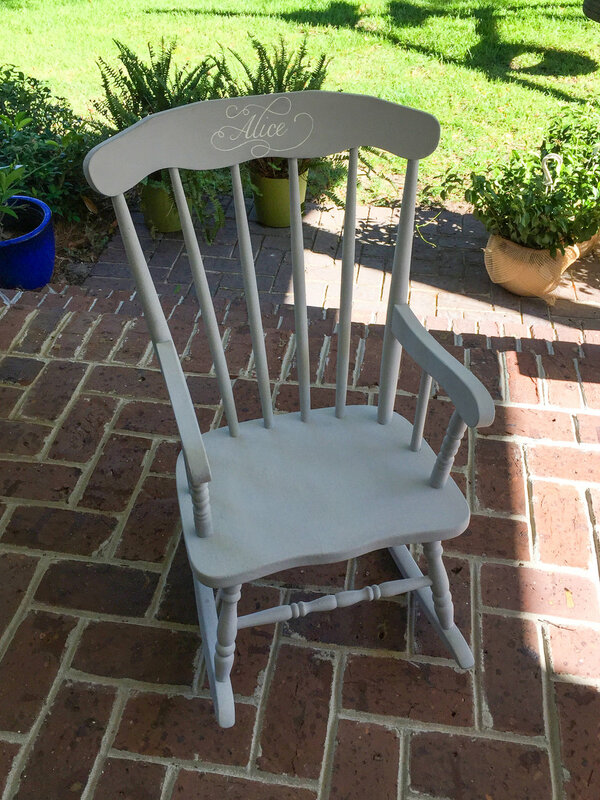 I have a pretty impressive collection of chalk paint (Annie Sloan, I cannot quit you) and I am in complete love with Paris Grey so a few coats of paint and the rocking chair was bare no more. 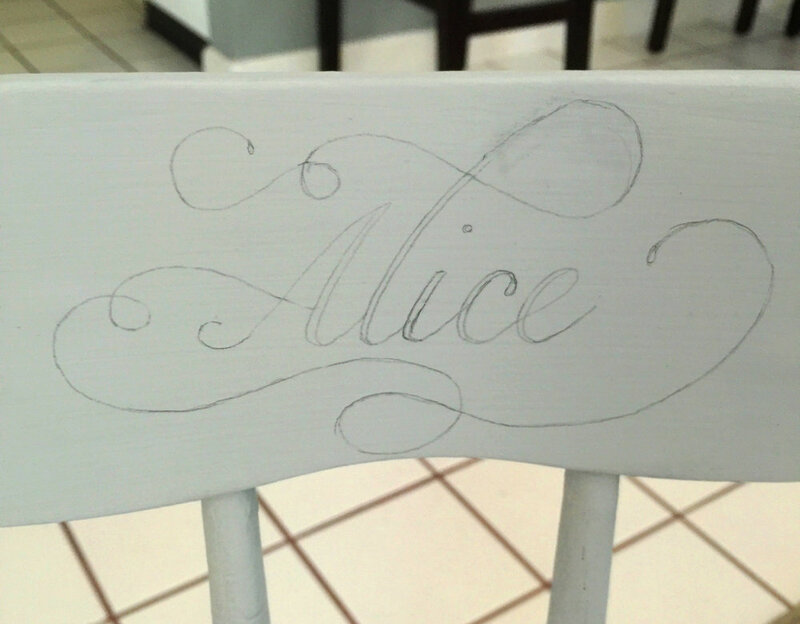 Not necessarily to make it heirloom-worthy, but I felt this needed her name on it as well so with my tiniest paintbrush and some vintage white, Alice’s name was added. I’m not sure if she’s in love with it or not, but I love this little chair. No more panicking over WHAT to paint... just paint. I’ve learned that if I just give myself the space to make a mistake, art happens. This chair may not be my most complicated or artistic work, but I love it all the same.